AN ELON Musk-backed revolutionary artificial intelligence (AI) research programme is hoping to teach robots to mimic humans through VR headsets. The OpenAI programme, which has received around a $1billion in funding from the likes of Mr Musk, PayPal co-founder Peter Thiel and LinkedIn co-founder Reid Hoffman to name a few, will allow humans to use VR headsets attached to AI computers which will then be able mimic the actions of the human brains. The billionaire businessman’s team outlined in an OpenAI blog how a robotic arm was able to stack small wooden blocks after observing a human do it. The team explained in the blog: “The system is powered by two neural networks: a vision network and an imitation network. Touch sensitive bionic skin created for robots. The second neural network then takes over, where it imitates the human. Josh Tobin, a member of the technical staff at OpenAI, said: "Imitation allows humans to learn new behaviours rapidly. “We would like our robots to be able to learn this way too. Will 2017 be the year of Artificial Intelligence? Robotic assistants are on the rise, here's how AI is getting more human. Little robots can move around and assist you at home, express emotions, and learn and adapt to your preferences with proactive artificial intelligence. 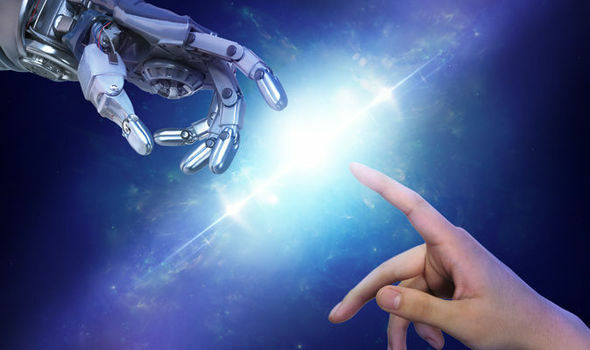 Despite the initial task being relatively simple, Mr Tobin says that the move is a major breakthrough and could pave the way for AI with human-like capabilities.